Ewa Kupiec regularly performed at the world’s leading festivals and with major orchestras, which in recent seasons have included Munich Philharmonic, Sao Paulo Symphony Orchestra, Minnesota Orchestra, City of Birmingham Symphony, Royal Stockholm Philharmonic, Royal Danish Orchestra, Royal Philharmonic Orchestra, Warsaw Philharmonic, Royal Liverpool Philharmonic, Melbourne Symphony Orchestra, Yomiuri Nippon Symphony Orchestra, Leipzig Gewandhaus, and Orchestre de Paris. Conductors she worked with include Andrés Orozco-Estrada, Marin Alsop, Neeme Järvi, Ingo Metzmacher, Xian Zhang, Sakari Oramo, Semyon Bychkov, Giancarlo Guerrero, Herbert Blomstedt, Krzysztof Penderecki, Lothar Zagrosek, Gilbert Varga, Christoph Poppen, Andrey Boreyko and Marek Janowski. 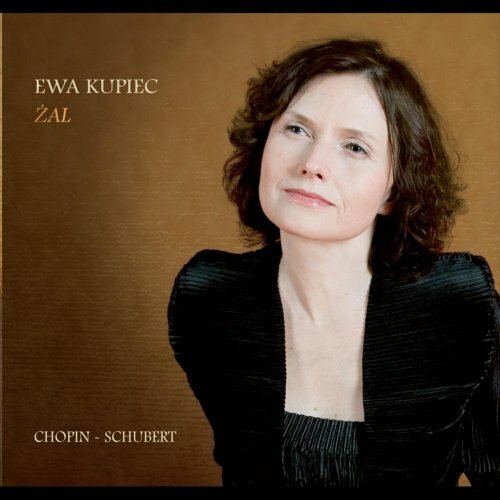 Renowned Polish maestro Stanislaw Skrowaczewski has initiated and supported an exceptionally fruitful musical collaboration between the two, and as such they have performed all over the world and, released in 2003, recorded Chopin’s piano concerti together.